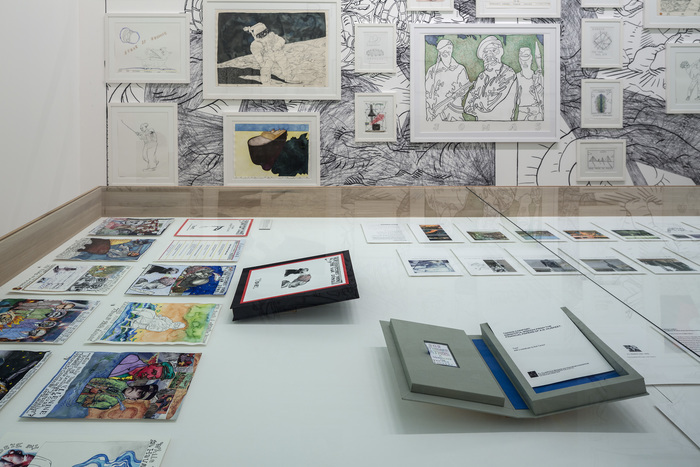 The 8th edition of the Berlin Biennale has opened its doors, taking up space within the Haus am Waldsee and Museum Dahlem, the KW Institute for Contemporary Art, as well as a number of satellite events, projects and talks spread across Berlin, running through the beginning of August. Curated by Juan Gaitán, the exhibition this year features an explicit look at the nature of images in contemporary society, in their proliferation, reception and interpretation. This is perhaps best indicated at the Museum Dahlem, Berlin’s Museum of Ethnology, where a number of artists have worked to complicate and problematize the states of identity, colonialism and use that the museum contains within its collection. 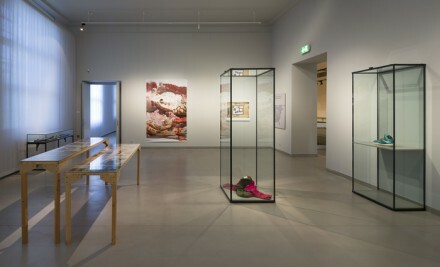 Danh Vo, in one work, alters parts of the show catalog, while Wolfgang Tillmans‘ large-scale installation Easter Woodlands Room creates a physical extension of the museum’s exhibition space, altering its meanings through his own inserted artifacts and objects. 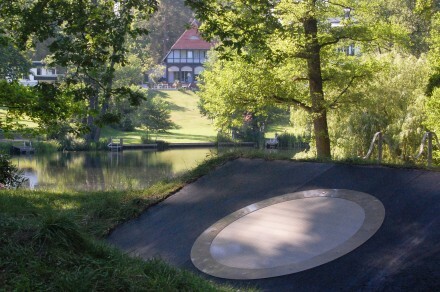 Conversely, the Haus am Waldsee, historically noteworthy as a repurposed private mansion, confronts these same notions of privacy and the public sphere throughout the works shown there. Slavs and Tatars for instance, have created an immense sound installation in the space around the mansion, a metal book submerged in the grass surrounding the museum. A number of other exhibitions and projects are on view throughout the city, continuing the Biennale’s record of challenging exhibitions within the city limits. The Biennale closes on August 3rd. This entry was posted on Thursday, May 29th, 2014 at 7:15 pm	and is filed under Art News. You can follow any responses to this entry through the RSS 2.0 feed. You can leave a response, or trackback from your own site.